Adding to the long list of dragons. In a previous post I wondered if there were any dinosaurs that incorporated the word ‘dragon’ from languages other than Chinese and Latin. Well, I know I’m a bit late to the party on this one, but I can now add Balaur bondoc to my list of dragon dinosaurs. Balaur is an archaic Romanian word for dragon, making this perhaps the most metal of all dinosaurs. It’s a pretty weird animal, featuring fused up elements in the hand (usually only seen in alvarezsauroids and Avimimus), and an apparently functional first toe (more associated with therizinosaurs than dromaeosaurs) that was similar to the stereotypical sickle-claw. Much of Romania was an island during the Cretaceous and had unusual dinosaurs more closely related to Jurassic taxa than to contemporaneous species. 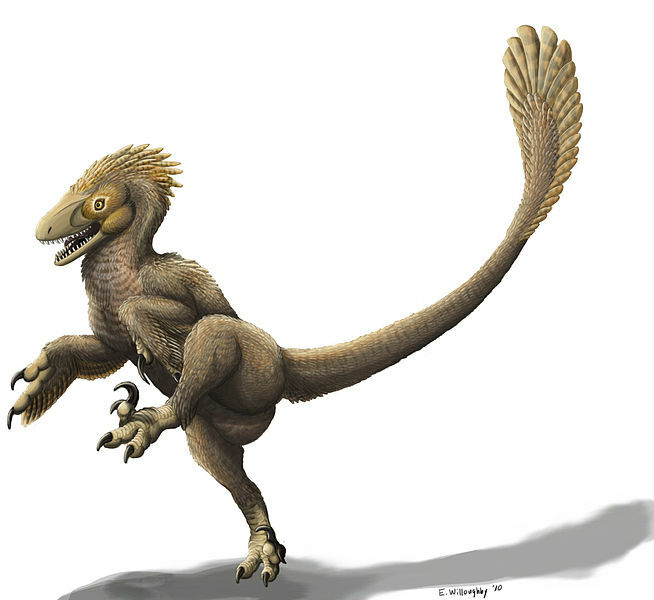 However, the closest relative of Balaur was actually Velociraptor, from the Cretaceous of Mongolia. So, Balaur is just an interesting and strange dinosaur all around. Quite a strange looking animal! Balaur is a popular mode to name a dragon. But it's actually ,,Dragon”, as in english. It was found close to the mountains, where the people there talk more ,,folkish” then the citizens in the big cities. Sorry, not popular, folk. Sorry for that.